Every time Apple holds a keynote or earning call they love to brag about how many apps are available in the App Store. Right now Apple’s boasting that there are 500,000 apps for the iPhone, which you know, sounds really freaking amazing when you’re thinking about buying and iPhone. Think of all the cool stuff you could with 500,000 different apps. 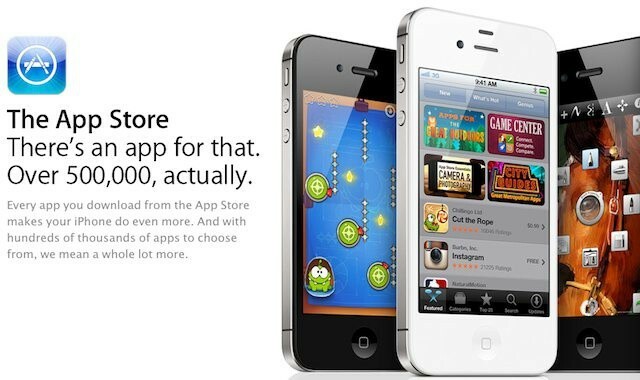 Yes, the App Store is awesome and it’s packed with some truly solid apps, but the truth is that most of the 500,000 apps that Apple brags about don’t ever get noticed. In fact, a recent analysis revealed that two-thirds of all apps in the App Store are “zombies,” meaning they never get downloaded, are invisible to users, and have no ranking. Adeven, a German startup that specializes in mobile analytics and ad verification, just launched their new AppTrace tool today that can trace how often an app is downloaded, review scores, and overall ranking. Before the official launch of AppTrace, Adeven analyized around 400,000 apps on the App Store to get a big on how healthy Apple’s walled garden is, and the results were fairly abysmal. The search functionality in the App Store has always left a lot to be desired, leaving developers on their own to market their apps to gain attention. iOS 6 aims to improve some of the problems with search, and many believe Apple will utilize their recent acquisition of Chomp to do so. Even if Apple improves search though the biggest problem for developers is to distinguish themselves from their competition. After all, when the App Store already boasts 1,899 flashlight apps, how different can you really be?